Camille Walala is a French artist based in London. 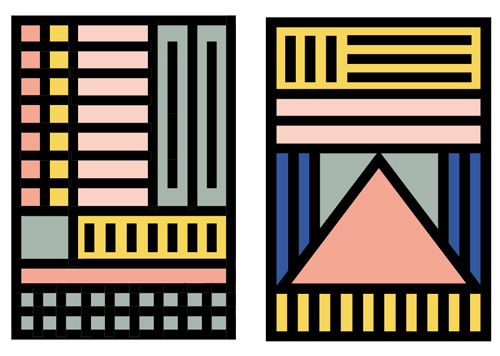 A love of forceful pattern and geometrics is inherent in her work. A palette of primary colours, unforgiving lines and pattern rage across her dynamic compositions. Any surface is pliable – street, interior, clothing – on any scale. She takes the ‘simultaneous’ traditions of Sonia Delaunay and Bridget Riley to new heights. For further details of her work and influences see The Geometrics: Volume 1. Her work is found in East London at the Darkroom, XOYO, The Breakfast Club and Supermarket Sarah.